Don't you love to know what other people eat? In today's video, I take you to lunch each weekday! I hope my video gives you some ideas for your own kitchen. This isn't the most typical week, as we celebrated a birthday, but you will see how I go with the flow. Friday: Quinoa bowl with artichoke and red pepper spread, sauteed kale, soft boiled egg and Havarti cheese. It's important to note that this week's lunches are not heavy on vegetables. If I don't get vegetables in at lunchtime, I make up for it during dinner, which I certainly did this week. Check out my video to see all of the options. I hope you enjoy! The Everyday Quaintrelle tries out the ten-item wardrobe. 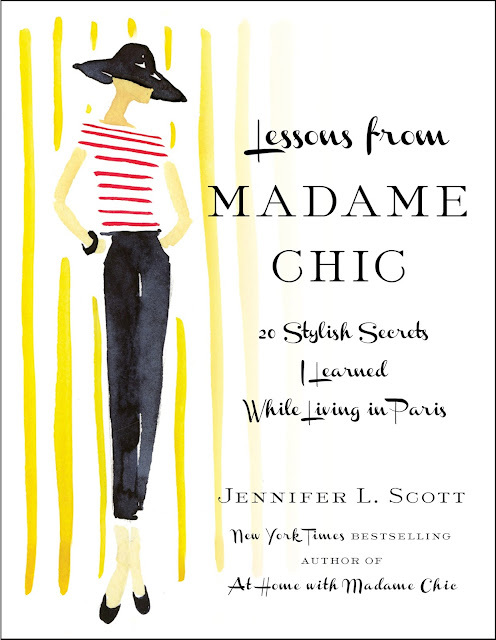 Olive and Cocoa call Lessons from Madame Chic a must-read book and include it in a gift package. I came upon this quote by one of my favorite authors, and I thought you would like it as well. This quote helps me have a better attitude while I'm doing chores or feeling overwhelmed with running a household. Hello Vanessa, thank you for sharing that quote. It is inspiring and so true! Hello Kim, thank you for your question! In the house, we generally put music on iTunes via our television. We have an apple TV device that does this. Or, If I want to play a CD, I put it in our DVD player. In the car, we listen to our iPod that plugs into the car with a USB cable. We aren't the most technologically advanced, and I'm sure that there are better ways we could be listening to our music, but what we do works for us. What I like about iTunes on the TV is that I can listen to music according to genre. Famille Chic used an old-fashioned record player to listen to their music, which provided many wonderful memories for me. There are many options, as you can see! I hope that helps. 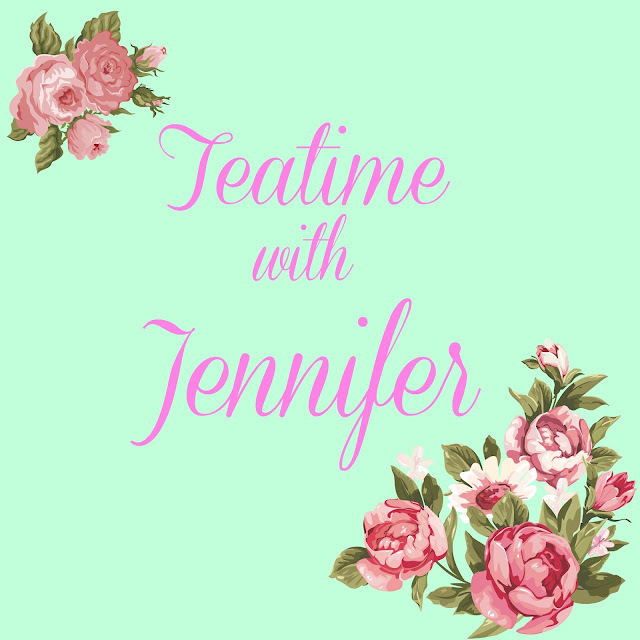 See you on Thursday for Teatime with Jennifer! FTC: This is not a sponsored post. All opinions are my own. Links may be affiliate. 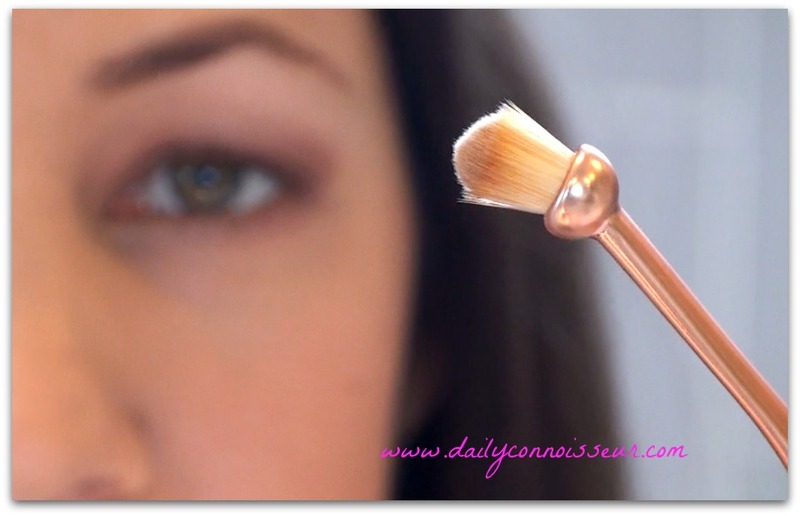 In today's beauty review, I share a new kind of makeup brush with you from Makeup Revolution. Have you seen this new brush shape on the market? They look like fancy toothbrushes. You can find them for everything from your foundation, to blush to eyeshadow. 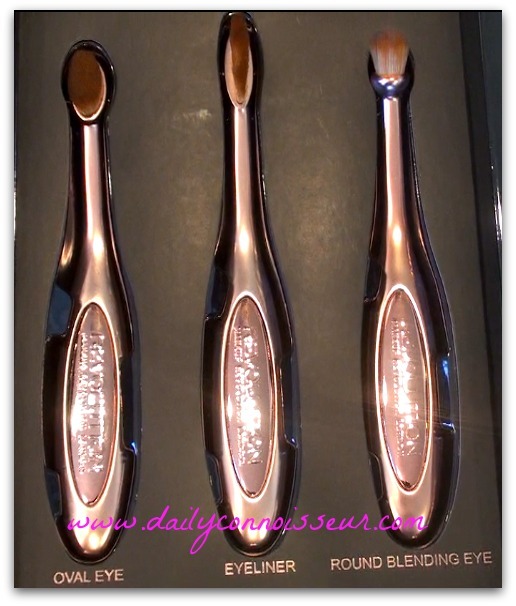 In today's review, I try out Makeup Revolution's eye shadow brushes. It does take a little time to get used to the new shape. 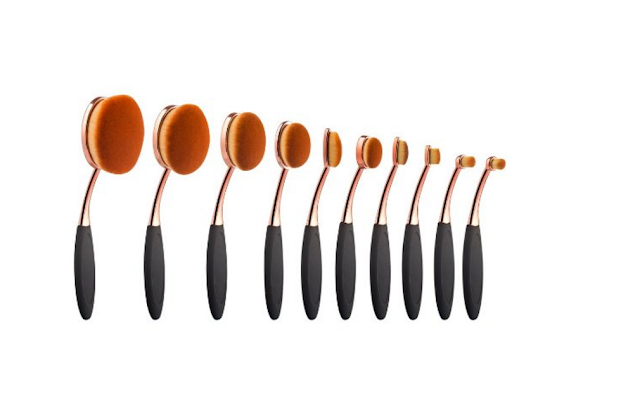 You can hold them horizontally or vertically, but once you get the hang of them, these brushes deliver the precision application that they promise. The eyeshadow I use in the video is the Kate Tokyo palette in shade BR3 (from my Japan Drugstore Haul). Check out my video today where I demonstrate the brushes for you. Each individual brush: the oval eye, the eyeliner and the round blending brush are $8 each. Or the set of all three is $22. 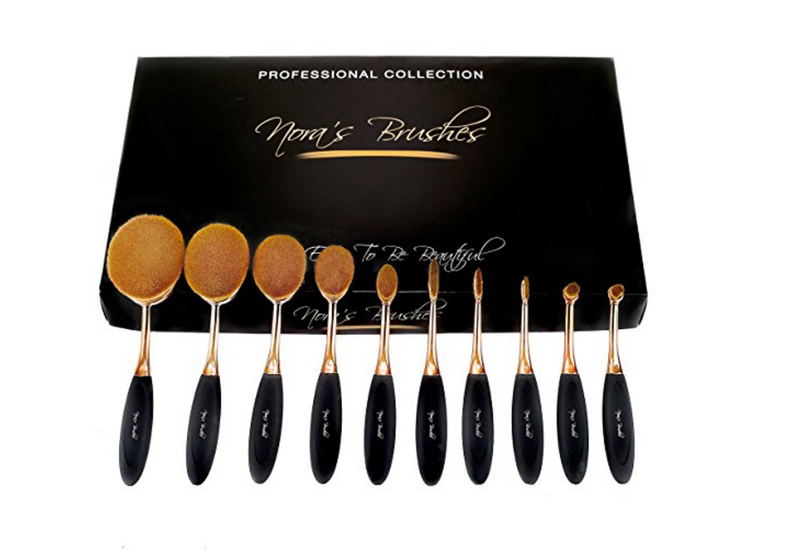 For comparable toothbrush makeup sets, check out the following highly rated sets from Amazon. You can see that this new brush shape is gaining popularity! The Seattle Public Library says Lessons from Madame Chic is a life-changing book and lists other inspiring books in the genre in their article called, Becoming Madame Chic. Check out this viral article, School wants parents to take responsibility, now their poster is spreading like wildfire, that discusses how raising children right starts at home. This is a great article that I'm sure you will enjoy: I'm a Parisian woman, here's what I actually eat in a day. I noted many similarities to my eating experience in Paris. My blogging friend, Kristi Belcamino, has re-released her book, La Bella Figura, on Amazon. 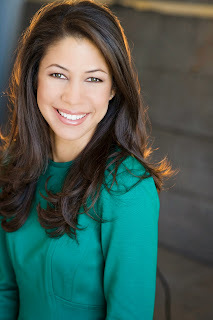 Kristi has Italian heritage and shares her European-inspired wisdom on how to live a beautiful life in her lovely book. 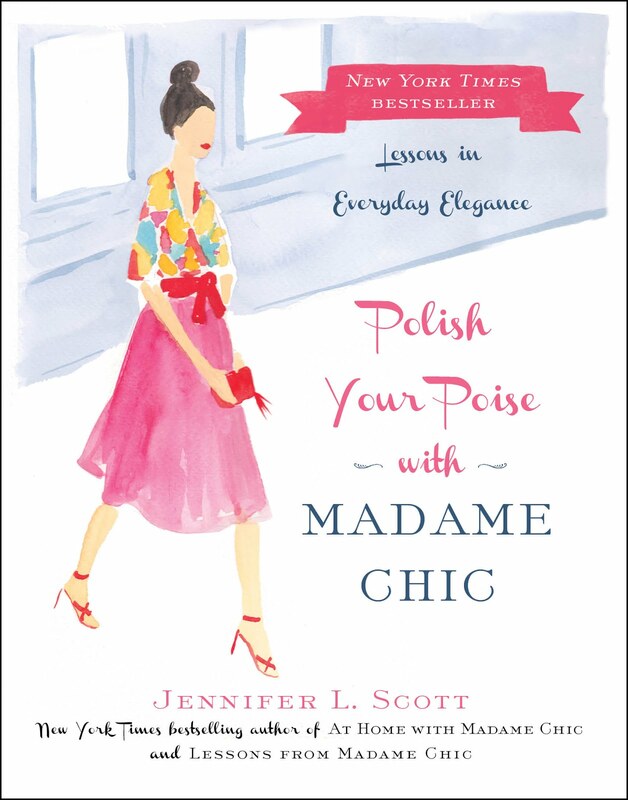 Kristi was one of the first bloggers to feature my book, Lessons from Madame Chic on her blog, and for that I am forever grateful! Hi Jennifer! I had a fun '10-Item Wardrobe' moment yesterday, and thought you'd enjoy hearing about it. I was with my neighbor and her 12-year-old daughter, and my neighbor commented on how nice I looked and asked if I was going somewhere. I explained that I only own about 15 items of clothing, and I chose for them to be nice. Her daughter exclaimed "Well, that's ingenious!". Hi Emily, I love it! Thank you for sharing that moment with us. People can't believe their ears when they first hear about the ten-item wardrobe and all of its benefits. I hope your neighbor becomes curious enough to try it! See you on Monday for one week of lunches on The Daily Connoisseur. Have a great weekend! 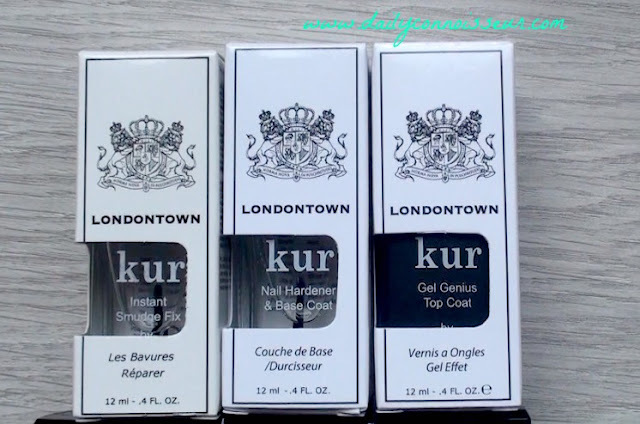 Today, I have an in-depth review of LONDONTOWN'S high-quality nail polishes. I was excited to do this review and test these polishes, as I have had many requests for more natural polishes. 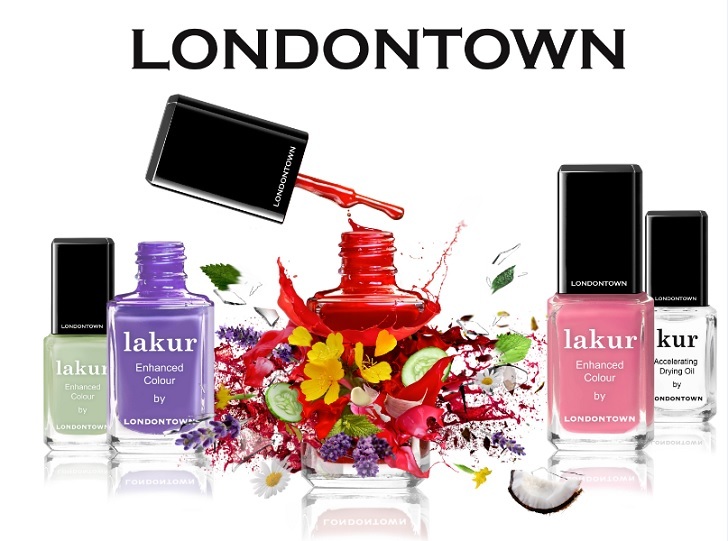 LONDONTOWN'S polishes are vegan, gluten-free, cruelty-free and 9-free. 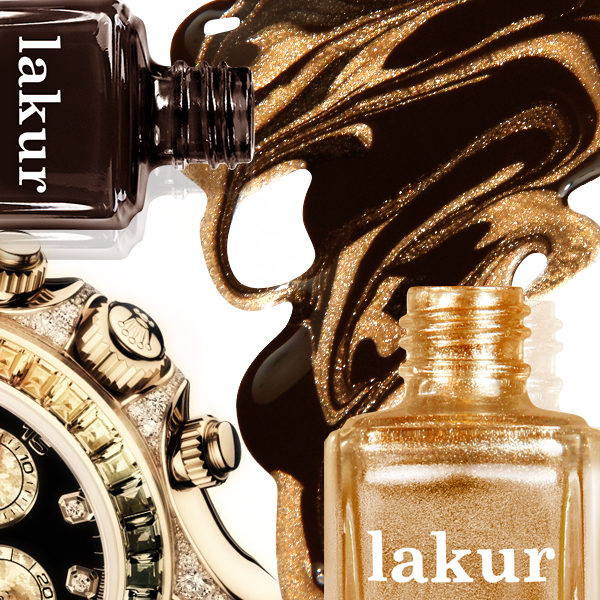 Check out all of LondonTown's beautiful nail colors here. I test the polishes over many weeks and are very impressed with their endurance and quality. Be sure to check out this week's video for the whole review. Thank you to LondonTown for sending me these polishes to review! Shannon Bardwell cites The Madame Chic Collection as inspiration for her new year resolution in The Dispatch. The Entertainment Report selects The Madame Chic Collection for their gift guide. Grammy Laura, thank you so much for your kind encouragement! See you on Thursday for another beauty review. FTC: Londontown nail polishes were sent to me to review. All opinions are my own. Links may be affiliates. In today's episode of Teatime with Jennifer (or coffee hour with Jennifer, as I am drinking my morning coffee in this video), I discuss several thoughts regarding the awards season. My Huffington Post article, Is Vulgar the New Normal? I do hope you check out today's video. I would also love to know your thoughts on everything I discuss. Do you watch the awards shows or do you skip them? How do you feel about the topics discussed? What are your picks for best film, actor and actress this year? Let me know in the comment section, and your comment could be chosen as comment of the week on the blog! Next week there will be two beauty reviews. Monday's review will be for cruelty-free and 9-free nail polishes from LONDONTOWN, and Thursday's review will be for the affordable makeup brushes from Makeup Revolution. FTC: This is not a sponsored post. All opinions are my own. Links may be affiliates. I'm pleased to start my series on making home life a priority today! I have broached this subject in the past, and have even written a book on the topic (At Home With Madame Chic), however, this topic remains a passion of mine, and I still have so much to say on the subject. This will be an on-going series over the course of the year, and today we are talking about distractions. The last time I discussed this, I urged you to cut your distractions. Cutting needless distractions is very important, but in today's video, I also give encouragement. Oftentimes you can make your distractions work for you to sweeten the process of getting your work done. The first step? Write your distractions down on a sheet of paper so you can look at them honestly. Screens, in any form, are the biggest distractions: smartphones, television, YouTube, Facebook, Pinterest, Netflix, etc. Now, figure out if you can make your favorite distractions work for you. Can you watch a YouTube video, while folding the laundry? Can you listen to an audiobook or podcast while cleaning the kitchen or cooking dinner? You can do these things while feeling motivated to organize, de-clutter and tidy the house on a regular basis. And what should we do about those pesky Facebook and Pinterest addictions? Check out this week's video to hear my thoughts on the subject. To see the list of my favorite YouTubers, check out the info box below today's video. ELLE Magazine tries out the ten-item wardrobe! Pepper and Gem shares her ten-item wardrobe. Lizzbert shares her ten-item wardrobe prep. I loved this story too! When my oldest son was born (22 years ago! ), he spent a week in NICU. We always dressed nicely for our visits, and on the day we finally brought him home, I wore a dress and my husband wore a suit. It was a day of grateful celebration, and we wanted it to feel that way. It's a great memory! Hi Maureen, I'm sure that time when your son was in the NICU was incredibly stressful. I'm sure that your dressing well for his visits reflected your hope for him. What a great memory to finally bring him home! Thank you for sharing it with us. This week I would love to know... what are your distractions? How could your home life use improvement? How do you plan to make home life a priority this year? Let me know, and your comment could be chosen as comment of the week on the blog! 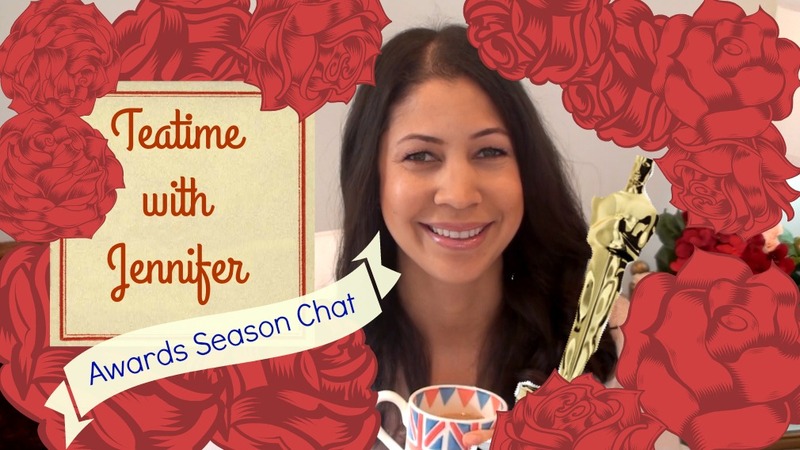 Welcome to the first episode of Teatime with Jennifer! This will be an on-going series where I discuss popular/ current events that pertain to this channel. Today, I chat with you about the recent tweet that went viral, showing young man, Grant Kessler, wearing a suit to meet his newborn baby niece. Thank you to my friend, Juliana, who shared this story with me. She knew I would love it! Check out my video today to hear my full thoughts on the subject. In the video, I discuss why I think Grant Kessler's story went viral and confirm my thoughts on why what we wear matters. If you have not already subscribed to my YouTube channel, please do so. Teatime with Jennifer videos will not always appear on this blog. If you subscribe, click on the "bell" next to the subscribe button to get notifications every time I upload a new video. If you have any requests for future Teatime with Jennifer posts, please leave them in the comment section. I would love to know what you think of this story... let me know, and your comment could be chosen as comment of the week! Happy new year, dear readers! I hope you had a marvelous holiday break. I enjoyed my time off immensely. Baby's first Christmas was so special. We spent new year's eve celebrating with friends, and this past week have been on vacation in the snow in Yosemite. This is going to be another year where we focus on making our home lives a priority. 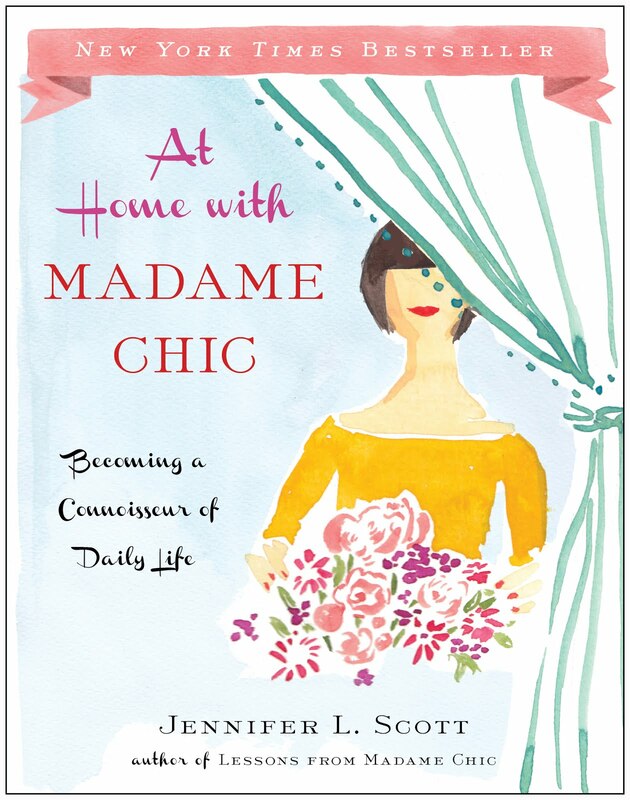 As I write about in At Home With Madame Chic, home life is truly important for everyone, whether you live in a big house, or a dorm room with a roommate. The focus of my home life blogs this year will have an emphasis on habits and routines, which are vital to creating a peaceful and nurturing home environment. Habits and routines become even more important when you have children. I have many thoughts on these topics and am excited to share them with you this year! Also, regarding beauty and ten-item wardrobe, I have heard your requests. So many of you over the years have requested that I feature budget beauty and wardrobe items. This year I will be investigating and reviewing many drugstore beauty items. I am looking for affordable products that do not compromise quality. The same will be said for my ten-item wardrobe posts later this year. It will be a fun experiment and I hope you join me! Finally, I am aiming to implement a new video series on my YouTube channel: in addition to Monday's regular video, I plan to start a weekly, or bi-weekly Teatime with Jennifer, where we discuss popular or current events stories. So many times something will happen in the news and I will want to weigh in on it from the Madame Chic/ Daily Connoisseur perspective, and this year I will finally begin! I continue to read and love your emails and comments. Because I am not able to respond to each one, I will continue to feature the "comment of the week" on the blog. I feature comments from this blog, the YouTube channel and from my social media accounts. Thank you for joining me for another season of The Daily Connoisseur. I hope you will subscribe to my YouTube channel if you haven't already. It is free! If you click the "bell" next to the subscribe button, you will be notified every time I upload a video. I encourage you to do this, because the teatime with Jennifer videos will not have their own blogpost. They will be in video form only. If you have any requests for the new year, please leave them below. See you soon!